Club Penguin Cheats by Mimo777 Club Penguin Cheats by Mimo777: Mimo's Wicked Snowboard Contest... Ending Soon! 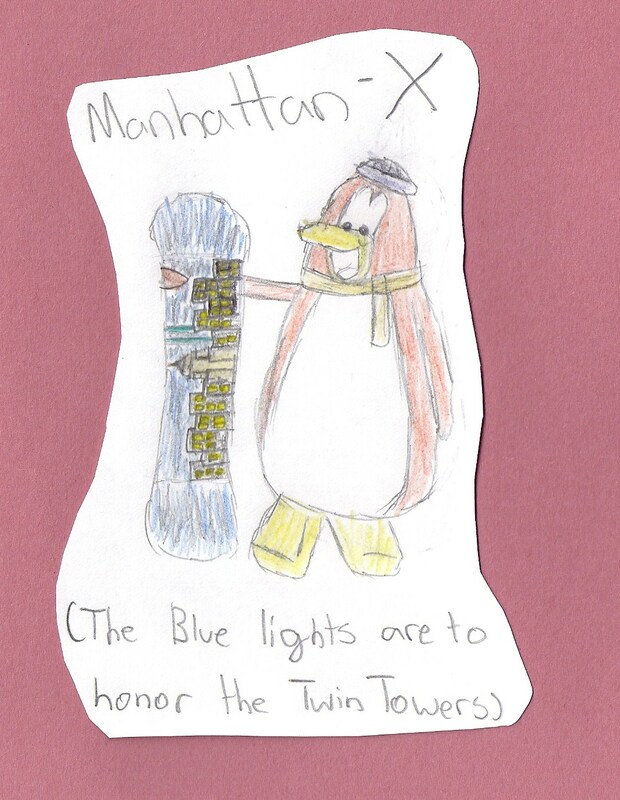 Mimo's Club Penguin Wicked Snowboard Contest is coming to an end soon. This is your last chance to submit your snowboard! The top 10 chosen by CPG will be posted sometime on Saturday! What's the deal about this contest, you ask? Well find out the deets here! To be added to my buddy list! Woot! Cool, huh? I can't wait for you to see some of the other super awesome ones you crazy cats have sent me! So get wicked, get gnarly, get designing and send your board to info@mimo.cc! I'd love to entry to this contest, but unfortunately i cant draw..
Um mimo have you seen this?!?!?!!? A shadow dojo comes in like 2012 go to youtube and type it.. Ofcourse the Cloud been there FOREVER and might mean snow to club penguin. But after snow dojo. you will guess.... Shadow dojo. And Shadow Ninja Just look in the Middle of the amulet and you see black! Meaning after snow dojo Shadow dojo comes. MIMO! The stamp book says you need 16 stamps to unlock the next picture. So will there be more levels? Wow I like all of those snowboards. Nice. I entered too, and I'm crossing my fingers! Good luck to everyone who entered!